The Ed Dunlop-trained ROXY ART won the Fillies' Novice Stakes at Chelmsford and became the 98th horse to win a £25,000 October Book 1 Bonus. 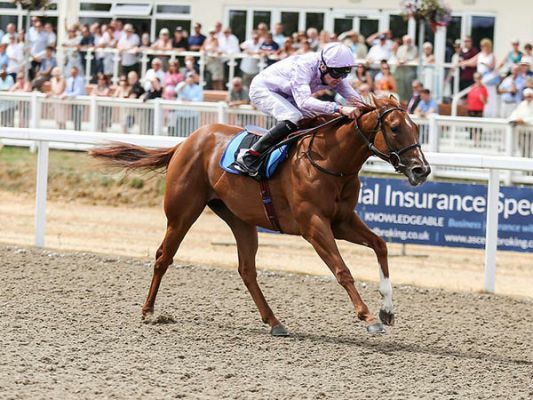 The daughter of DUTCH ART ran out a ready winner and earned her owner Mrs Susan Roy £32,374 for her victory. ROXY ART was purchased at Book 1 of the Tattersalls October Yearling Sale for 175,000 guineas by Michael Roy from West Moor Stud.